Farmhouse inspired, 3 bedroom, 2 bath home, minutes from Arroyo Grande nestled in the newer Green Park community. Newly Built in 2016, with attention taken in every detail. Luxury living; dramatic 16-foot ceilings, spacious open floor plan, and polished radiant heated concrete floors throughout this single level home. 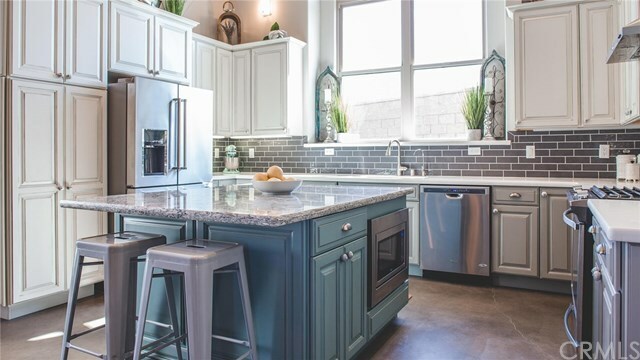 Gourmet kitchen with over sized cambria quartz topped island / breakfast bar, built in wine rack & microwave, upgraded stainless steel appliances, 5 burner gold series gas stove, pantry, RO water, and much more. Spacious master suite which opens onto the back yard, features a cambria quartz countered bathroom, upgraded his and her sinks, large glass door walk-in dual-headed shower, and walk-in closet. The 2 additional bedrooms and an additional full bath are found across the main living area. The main bathroom has a bathtub / shower, and a beautiful cambria quartz counter. Additional amenities include a 2-car garage with built in shelving, SOLAR that is prepaid for the next 18 years resulting in an extremely low electric bill, a water softener, a central vac system with kick plate, laundry room with high end LG washer & dryer, large dual-pane windows throughout the home, and a large grassy back yard with extra storage shed. This home was built with entertaining in mind while maintaining a light, airy, relaxed family feel. To fully appreciate this beautiful home, come experience it in person today. Directions: From Farroll, North on 16th, Right on Monterey, Home is on the Right, Corner lot.